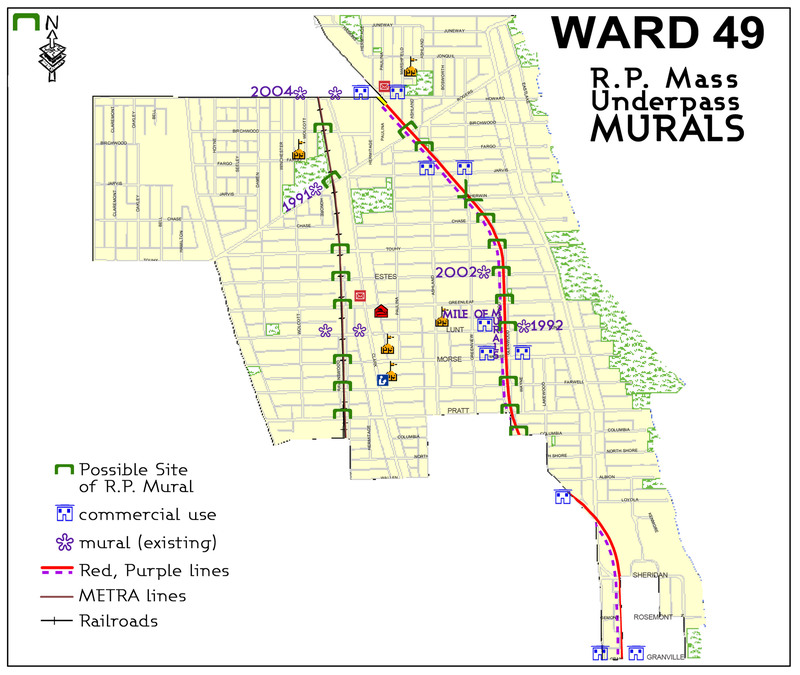 The 49th ward participatory budget team announced a public mural project for 12 rail underpasses in Rogers Park. Of over 200 submissions, 24 have been selected for public voting. They were overwhelmed by the response from the artistic community, both local and citywide – over 200 entries were submitted exhibiting a wide range of artistic styles, from realistic to abstract. A three-person panel of professional artists and administrators from Chicago Department of Cultural Affairs and the School of the Art Institute, who have extensive experience judging public art projects in general and murals in particular, reviewed the submissions and selected 24 finalists, of whom 9 are from Rogers Park or Edgewater. Their designs will now go before a community vote during the Glenwood Ave Arts Fest on Saturday, August 21st and Sunday, August 22nd. To be eligible to vote you must be 16 years of age and have proof of residence in the 49th Ward. No Exit Cafe has kindly donated their space for both Saturday and Sunday. The winners will be announced at the end of the Festival.